Axiata Group Berhad (Axiata) is one of the largest Asian telecommunications groups in Asia with over 260 million customers. Axiata’s vision is to be a regional champion by 2015 by piecing together the best throughout the region in connectivity, technology and talent, uniting them towards a single goal: Advancing Asia. Axiata has controlling interests in mobile operators in Malaysia, Indonesia, Sri Lanka, Bangladesh and Cambodia with significant strategic stakes in India and Singapore. In addition, the Malaysian grown holding company has a stake in non-mobile telecommunications operations in Pakistan. The Group’s mobile subsidiaries and associates operate under the brand name “Celcom” in Malaysia, “XL” in Indonesia, “Dialog” in Sri Lanka, “Robi” in Bangladesh, “Smart” in Cambodia, “Idea” in India and “M1” in Singapore. Added to this, the Group has established a communications infrastructure solutions and services company called “edotco”. The Group revenue for 2014 was RM18.7 billion (USD5.7 billion). Its market capitalisation stood at over RM60.5 billion (USD18.5 billion) at the end of 2014. The Group provides employment to over 25,000 people across Asia. Axiata was awarded the Frost & Sullivan Asia Pacific ICT Award for Best Telecom Group for six consecutive years in 2009, 2010, 2011, 2012, 2013 and 2014 and the Telecom Asia Best Regional Mobile Group 2010 and 2011 for its operations in multiple Asian markets. In 2011, Axiata was the only Malaysian company to make the Forbes Asia Fab 50 List. Huawei is a leading global ICT solutions provider. Through its dedication to customer-centric innovation and strong partnerships, it has established end-to-end capabilities and strengths across the carrier networks, enterprise, consumer and cloud computing fields. It is committed to creating maximum value for telecom carriers, enterprises and consumers by providing competitive ICT solutions and services. Its products and solutions have been deployed in over 170 countries, serving more than one-third of the world's population. National Instruments: For nearly 40 years, National Instruments (NI) has worked with engineers and scientists to provide answers to the most challenging questions. NI provides powerful, flexible technology solutions that accelerate productivity and drive rapid innovation in almost every industry. NI is committed to push the limits of possibility in the RF and wireless industry, from prototyping next-generation communications systems to designing the highest performance microwave circuits to reducing RF test times by 10X or more. From daily tasks to grand challenges, NI helps engineers and scientists overcome complexity to exceed even their own expectations. Through these pursuits, NI customers have brought hundreds of thousands of products to market, overcome innumerable technological roadblocks, and engineered a better life for us all. The Malaysian Communications and Multimedia Commission (MCMC) (Suruhanjaya Komunikasi dan Multimedia Malaysia) is a regulatory body and its key role is the regulation of the communications and multimedia industry based on the powers provided for in the Malaysian Communications and Multimedia Commission Act (1998), the Communications and Multimedia Act (1998), and the Strategic Trade Act (2010). Pursuant to these Acts, its role is also to implement and promote the Government's national policy objectives for the communications and multimedia sector. MCMC is also charged with overseeing the new regulatory framework for the converging telecommunications and broadcasting industries and online activities. In 2001, MCMC's role was expanded to include overseeing the postal service sector pursuant to the Postal Services Act 1991 and licensing of the Certification Authorities under the Digital Signature Act 1997. Keysight Technologies: On Sept. 19, 2013, Agilent Technologies announced plans to separate into two publicly traded companies through a tax-free spinoff of its electronic measurement business. The new company, Keysight Technologies, began operating as a wholly owned subsidiary of Agilent on Aug. 1, 2014 with a full separation anticipated in early November 2014. Keysight is expected to trade on the NYSE under the symbol KEYS. Keysight Technologies works in close collaboration with engineers, scientists and researchers around the globe to meet the communications and electronics challenges for today and tomorrow. Our electronic measurement business is focused on delivering technology-leading products and cost-effective solutions. Our strong investment in R&D allows us to provide the measurement solutions to help deliver the products and services that make a measurable difference in the lives of people everywhere. Our unmatched depth and breadth of products, solutions and services help engineers - from design, development, manufacturing, installation, deployment and operation of electronic equipment and systems, to communications networks and services. 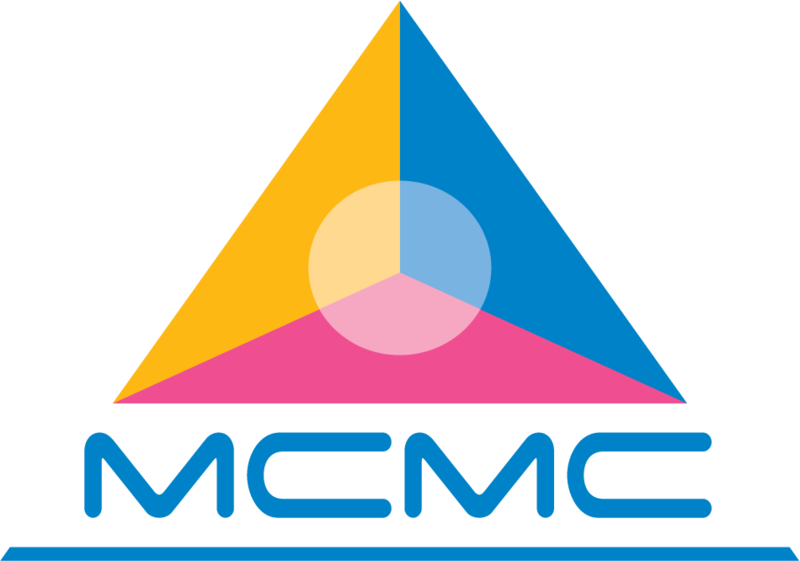 The Ministry of Communications and Multimedia (KKMM) (Kementerian Komunikasi dan Multimedia) is a ministry of the Government of Malaysia that is responsible for communications and multimedia sectors. Malaysia Convention & Exhibition Bureau (MyCEB) is a non-profit organisation established in 2009 by the Ministry of Tourism and Culture Malaysia to grow the country’s business tourism industry. It was established to position the country as one of the world's leading international business event destinations. These events include meetings, incentives, conventions and exhibitions. The inception is in line with Malaysia’s Economic Transformation Programme (ETP) to elevate the country to be developed-nation status by year 2020. MyCEB aims to further strengthen Malaysia’s global appeal and position as the leading destination for international meetings, incentives, conventions, trade exhibitions and major events. The bureau identifies potential business event leads, facilitates bidding processes, promotes government and industry collaborations, as well as provides event support and marketing services, including consultation on local products and services. It also acts as a conduit for national product development. MyCEB works closely with Tourism Malaysia offices worldwide to extend its services globally. TNB’s core activities are in the generation, transmission, and distribution of electricity. In addition to being the nation’s primary electricity generation enterprise, TNB also transmits and distributes all the electricity in Peninsular Malaysia, Sabah and Federal Territory of Labuan. As at 31 August 2015, TNB supplies electricity to approximately 8.9 million customers. TNB, through its subsidiaries, is also involved in the manufacturing of transformers, high voltage switchgears and cables; the provider of professional consultancy services, construction and operating and maintenance of district cooling facilities, generation equipment, repair and maintenance, fuel supply services; services related to renewable energy, energy efficiency and power quality; higher education and skill training and undertakes research and development. As an integrated electricity provider, TNB has and will continue to meet its crucial role in powering the nation’s progress. For further information, please visit www.tnb.com.my. European Patent Office (EPO) Find out how to get the best possible protection in Europe for your innovation in telecommunications. Even if you don’t file patents in Europe, you can still benefit from the EPO’s services for your patent protection. Come to the stand to find out how. Weak protection is open to attack, so patent applicants today are calling for high quality patent examination that gives you a certain degree of confidence that your patent will withstand any legal challenge it has to face. The EPO understands this and has been investing in ensuring its procedures meet the highest level of quality available, for example by including a collection of data on ICT standards unique to the EPO. MyIPO is committed towards ensuring high quality patent grants and protection. In line with this, MyIPO has planned a series of initiatives in 2016 in cooperation with our partners, including EPO, to promote internationally best practices for patents. MathWorks: The MATLAB and Simulink product families are fundamental applied math and computational tools at the world's educational institutions. Adopted by more than 5000 universities and colleges, MathWorks products accelerate the pace of learning, teaching, and research in engineering and science. MathWorks products also help prepare students for careers in industry worldwide, where the tools are widely used for data analysis, mathematical modeling, and algorithm development in collaborative research and new product development. Application areas include data analytics, mechatronics, communication systems, image processing, computational finance, and computational biology. Rohde & Schwarz. For more than 80 years, Rohde & Schwarz has stood for quality, precision and innovation in all fields of wireless communications. The electronics group is strategically based on five pillars: Test and measurement, Broadcast and Media, Cybersecurity, Secure communications, Radiomonitoring and Radiolocation. The company addresses customers in the mobile radio, wireless, broadcasting, electronics and automotive industries, in aerospace and defense as well as government, security and critical infrastructures. It is the world's leading manufacturer of wireless communications and EMC test and measurement equipment, as well as of broadcasting and T&M equipment for digital terrestrial television. Rohde & Schwarz Malaysia Sdn. Bhd. (RSMY) is part of the Rohde & Schwarz global network. RSMY was incorporated on June 2004 to oversee the operations of Rohde & Schwarz sales and services in Malaysia. Due to the comprehensive know-how and the innovative strength of its employees, Rohde & Schwarz is among the technological leaders in all of its established business fields. As a Malaysian entity, RSMY is a multinational organization of 100% Malaysian professionals who understand the local culture. We are with 80 employees at present. We are committed to providing Malaysian customers with state-of-art solutions from Rohde & Schwarz, a comprehensive portfolio of RF products and solutions, fast and prompt response, and quality services. Cambridge University Press: Visit the Cambridge booth for a 20% discount on all books on display. Browse and buy from our range of communications books, including Rimoldi, Principles of Digital Communication, Cui et al. (Eds), Big Data over Networks, Miao et al., Fundamentals of Mobile Data Networks and Osseiran et al. (Eds), 5G Mobile and Wireless Communications Technology. Speak to Commissioning Editor David Liu (dliu@cambridge.org) about publishing your own book with Cambridge. SIRIM Measurements Technology: A new subsidiary of SIRIM Berhad, SIRIM Measurements Technology Sdn. Bhd. (SMT) focuses on providing measurement instrumentation solutions, as well as technical services such as product start-up assistance and support, training, consultation, test system development and integration, calibration and repair of multi-vendor measurement products for scientists, engineers, and researchers. A strategic technology partner with world leading Test and Measurement Companies: Keysight Technologies and Agilent Technologies, SMT provides a wide spectrum of technologies and solutions ranging from electronics to life sciences and chemical analysis, which enable discoveries and pushes frontiers of science. Headquartered in Kuala Lumpur, the company has offices in Permatang Pauh, Penang which include a calibration and repair service centre, and Senai, Johore. UTM-BDC: We are rooted from one of the active research groups in UTM: Soft Computing Research Group (SCRG). Since 2011, we have played the games in Data Science and Big Data until UTM Big Data Centre is officially established 15 April 2014. We have more than 20 year’s experiences in the field of Data Analytics, Machine Learning, Pattern Recognition, Computer Vision & Fundamental Aspect of Data Analytics. Now we blend our expertise in Big Data Analytics, CUDA programming, Graphics Processing Unit (GPU)-based Machine Learning and Big Data Platform in GPU environment. Our products and services involve Consultancy and Training; Professional Certificates in Data Science; Professional Certificates in Big Data Analytics; Professional Certificates in GPU-based Computing; GPU-based Big Data Analytics, Nth Biometrics Systems; Big Data Applications for various domains.